Associating the word Liberty with that of the ‘Sharī’ah’ doesn’t always readily spring to mind. On the contrary, the very notion that the Sharī’ah could in any way be associated with a conception or idea of liberty appears to be totally absent from contemporary discourse. Too often the very idea of the Sharī’ah that is conjured in people’s minds relates solely to punishments. Islam being a complete Deen provides clear boundaries and regulations not only in relation to the conduct of the individual in society, but also that of the political authorities as well. Given the extensive security apparatus of the modern state, regardless of ideological persuasion, a legitimate question must be raised as to what the Islamic view on spying, mass surveillance and the like is. 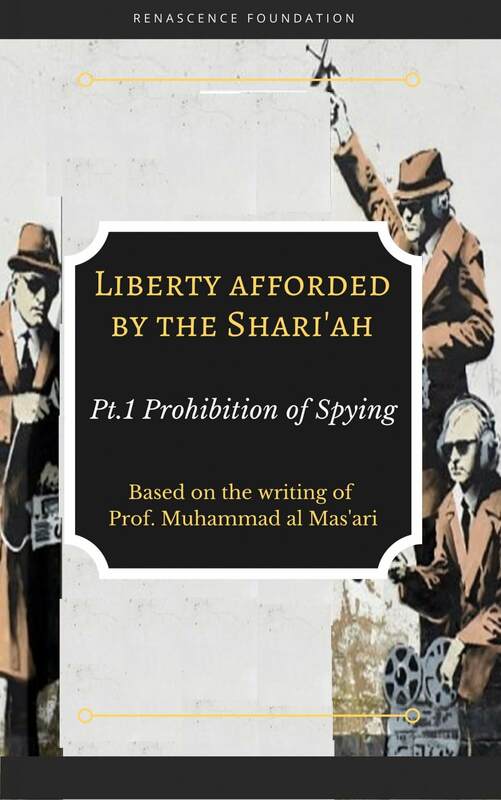 This short treatise therefore presents a scriptural analysis of the texts of the Qur’ān and the Prophetic Sunnah concerning the prohibition of spying. From this body of evidence and contrary to popular misconceptions, a set clear principles can be discerned which show that the Islamic scriptural sources do not advocate the idea that the political apparatus of the state requires or mandates the creation and maintenance of vast intelligence agencies to spy on its citizens.